Paris Eats. Part Three. 5th Arrondissement. Latin Quarter. Our Best Meals. 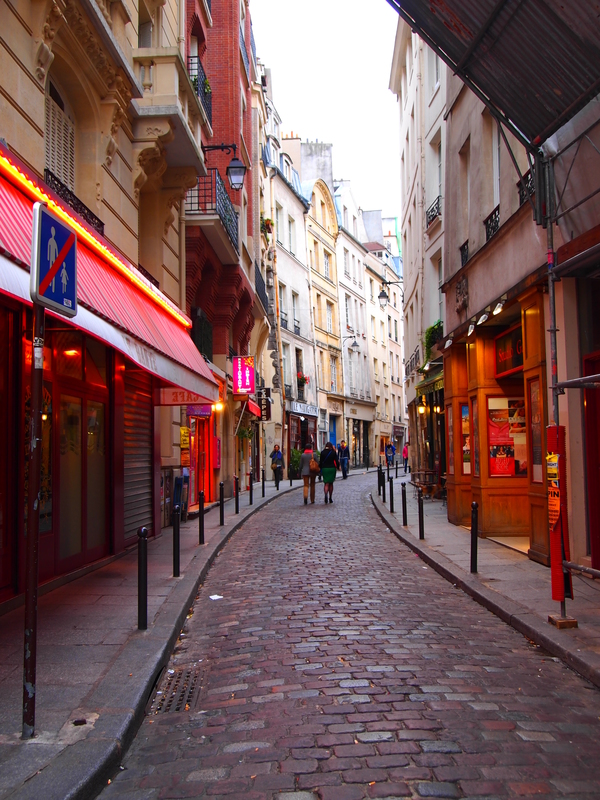 The 5th Arrondissement, also known as The Latin Quarter, was our favorite neighborhood. It is known for its charming winding streets and feels like a quaint village among a large cityscape. We found nice people, great architecture and even more amazing food options while wandering around. When we go back to Paris, I can promise you we will be staying in this neighborhood again. 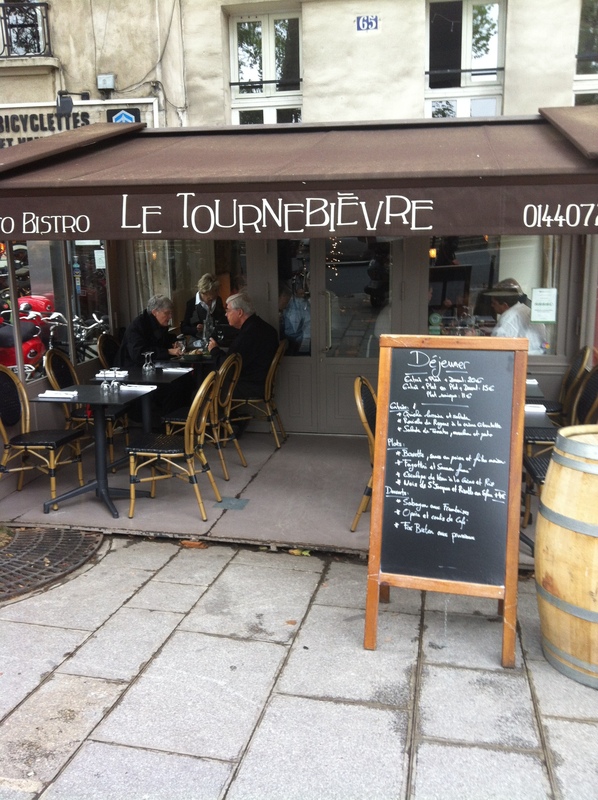 Le Tournebievre is located across the Siene from Notre Dame and offers lunch and dinner. We ate here twice for lunch because of their delicious food and very appealing $30 three course tasting menu option. The staff was young, friendly and knowledgeable. 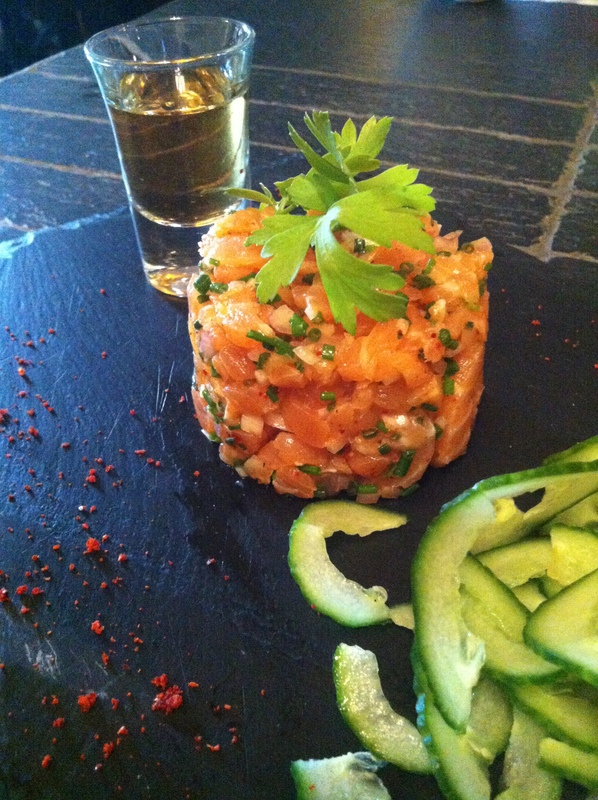 The salmon tartare came with a shot of Bourbon. Who can say no to that? 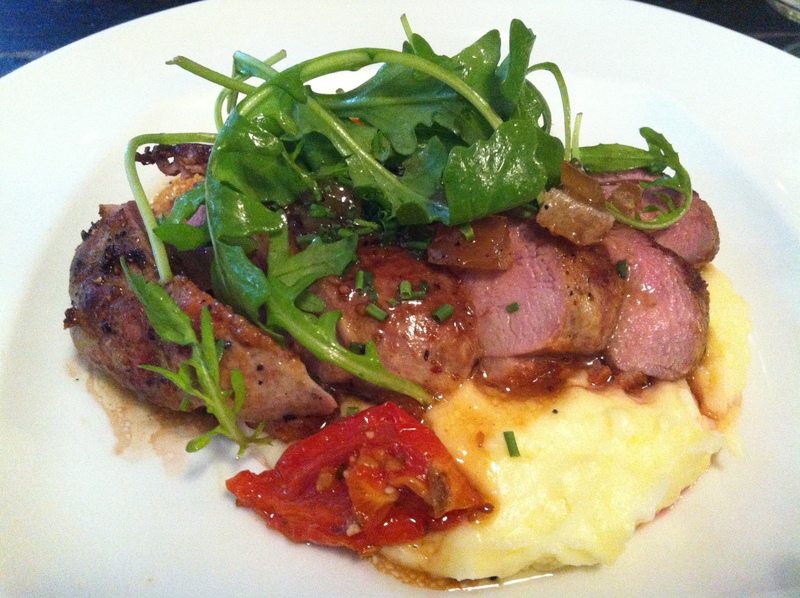 The duck breast (pictured left) was perfectly cooked and came on a bed of delicious mashed potatoes and some sort of wine reduction as a sauce. 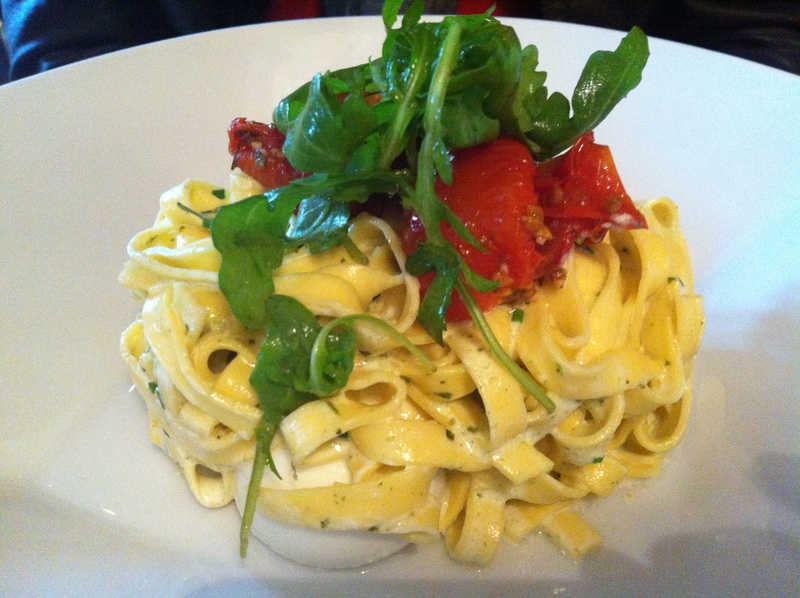 The carbonara style pasta (pictured right) was simply perfect. Not a lot of ingredients needed, but the ingredients used were fresh and and the dish was perfectly seasoned. Who doesn’t love a simple pasta?! Forgot to take a picture of the dessert course but it was delicious too! 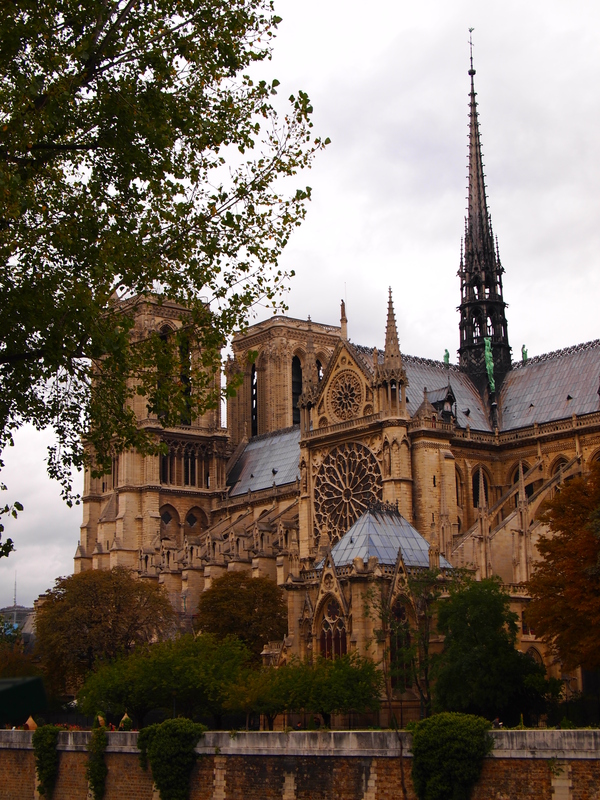 Just across the Seine, the majestic, gothic and architecturally intriguing, Notre Dame. The closer you get, the more details you see. Just look at the engraving around the door frame (pictured below). It’s incredible the amount of time and design that went into this church. How often do you get to see real gargoyle? They have got to be the most underrated and underused design piece in California. Super cool and intricate, it blows my mind how this was all done hundreds of years ago. 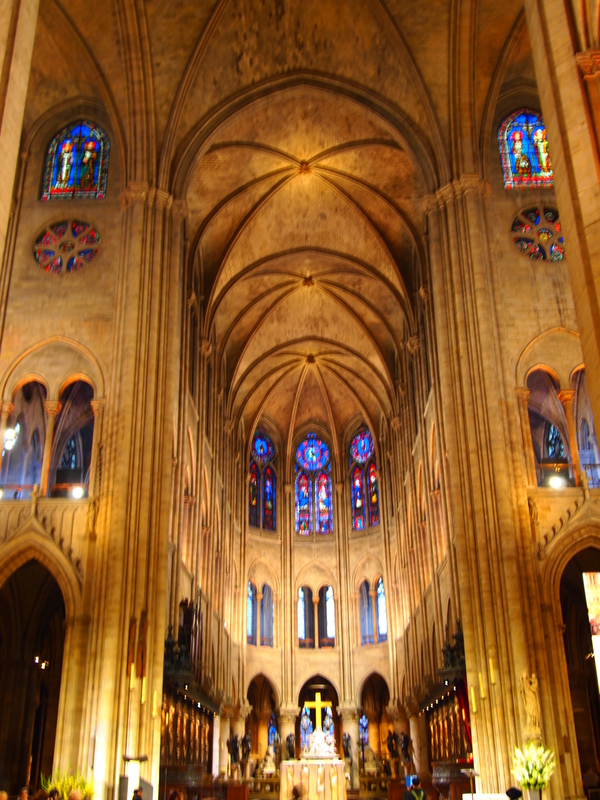 Once you step inside, the sheer grandness of the main hall takes your breath away. The building appears so much larger on the inside than when viewing it from the exterior. 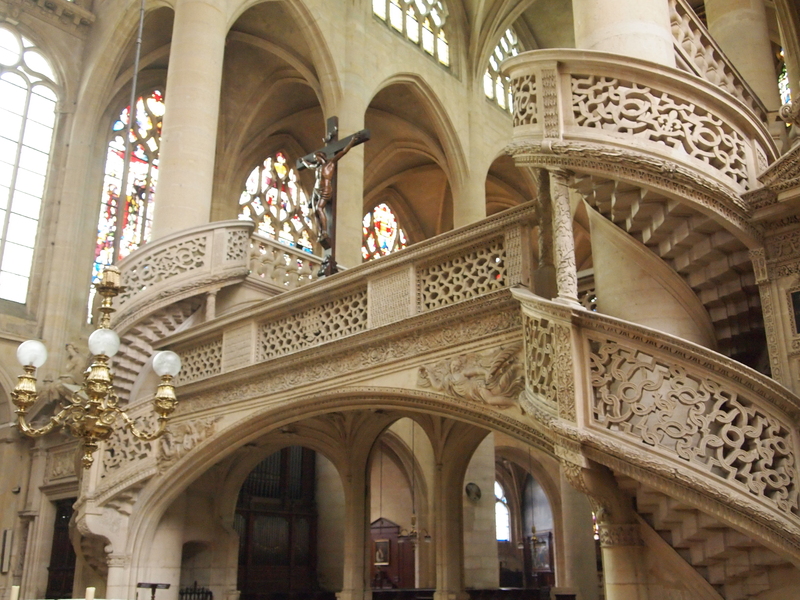 Filled with stained glass windows, relics, and tombstones there are plenty of things to see and admire. You certainly don’t need to be religious to appreciate this experience. I took a moment to sit and try to take it all in. Although there were several hundred people inside, it still felt nearly empty. We enjoyed my wifes birthday dinner at Le Petit Chatelet also just across the Seine from Notre Dame in the 5th Arrondissement. This was a perfect spot for a romantic dinner and fun experience. 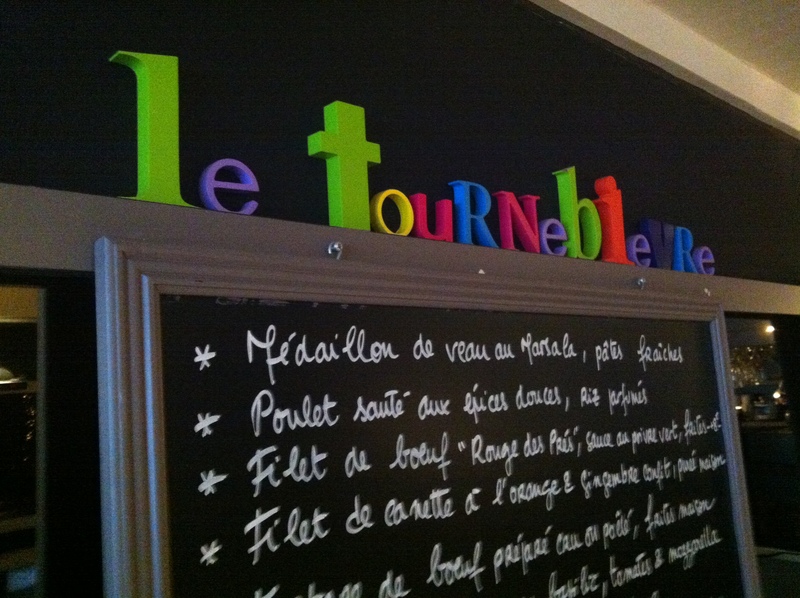 Upon entering we were politely greeted by our server, who sat us, then brought over their chalkboard menu. He first went over all of the menu options in French, as if we were a local (he clearly knew we were not), then he went back and did a quick translation into english for us. This was the only server we had on the trip that did this. Most people could hear that we spoke english and just used there best english there after. We appreciated hearing the menu as it was intended. French is a beautiful language after all! The food was nothing short of rich and delicious. We enjoyed, sautéed mushrooms, steak, Foie Gras (pictured above) and duck breast (pictured above), also two scrumptious desserts. 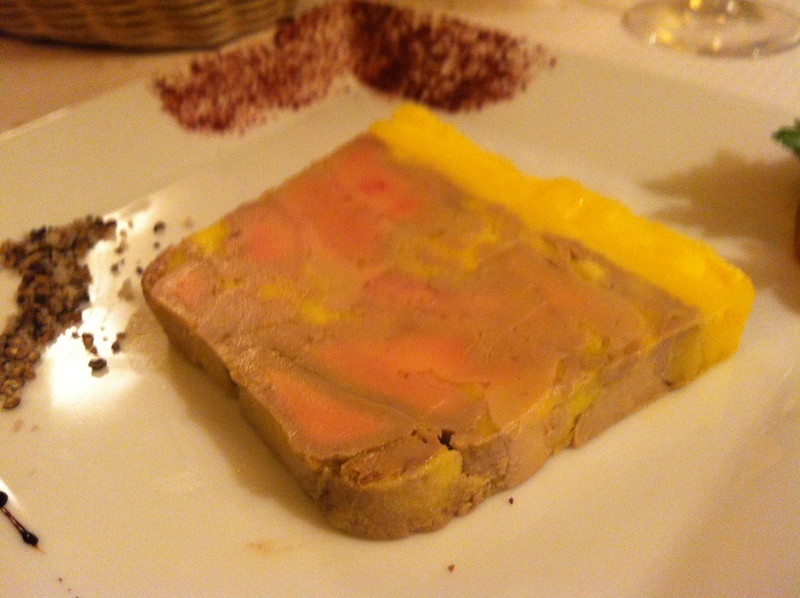 The Foie was prepared torch on stye (as my wife informed me) and it was my first experience having Foie. Damn was it good! It was both delicate and fatty, and spread perfectly on toast. 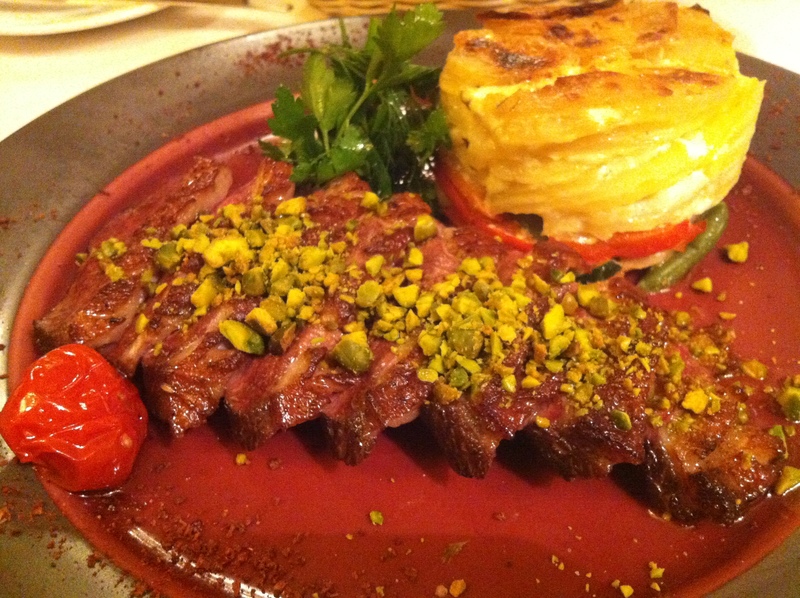 The duck was also cooked perfectly, finished with crumbled pistachio and a side of scalloped potatoes. While eating, we enjoyed watching the servers cook other patrons steaks on a open stone grill in the dinning room. 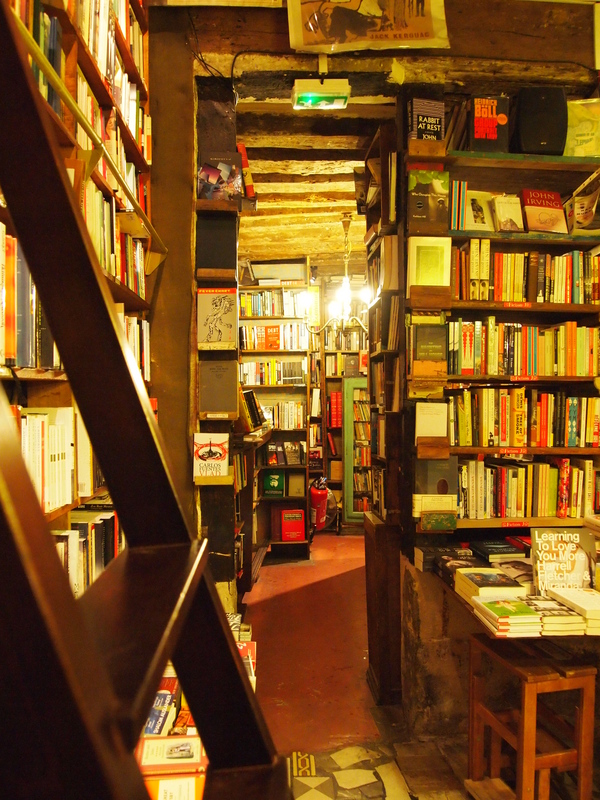 This bookstore was a great find and right next door to the restaurant above. Selling both used and new books, the store must have been at least 100 years old. 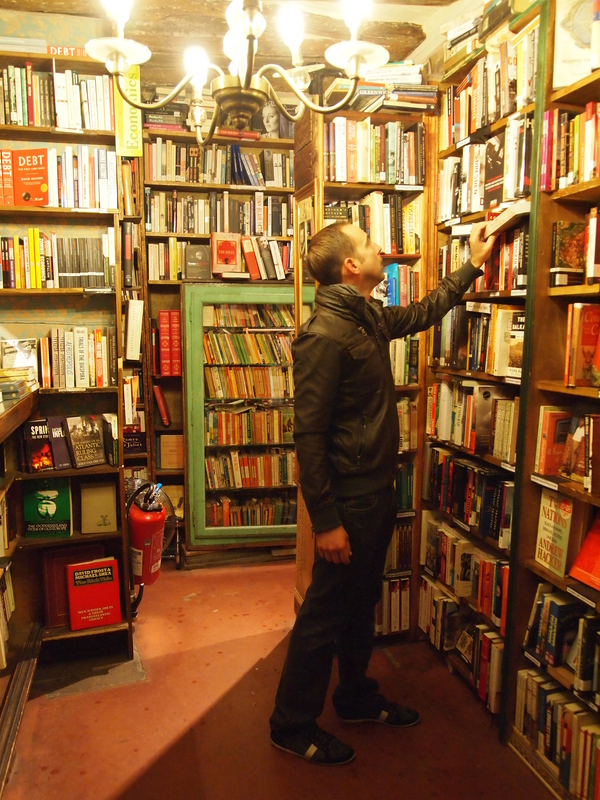 Plenty of nooks and crannies to explore, old sliding book ladders, and chandelier lighting made this a fun stop. Upstairs was a small reading room where students were playing chess and of course, reading books. Looked like a real hipster hang out. Pictures were not allowed upstairs, so you will have to use your imagination. These puppies were so good, I just had to sneak them into another post. 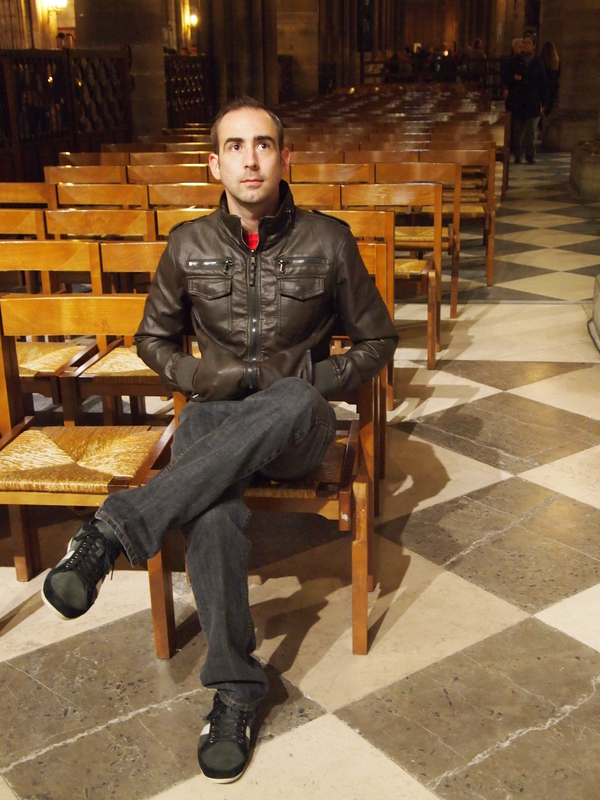 Besides, they were in the 5th Arrondissement. 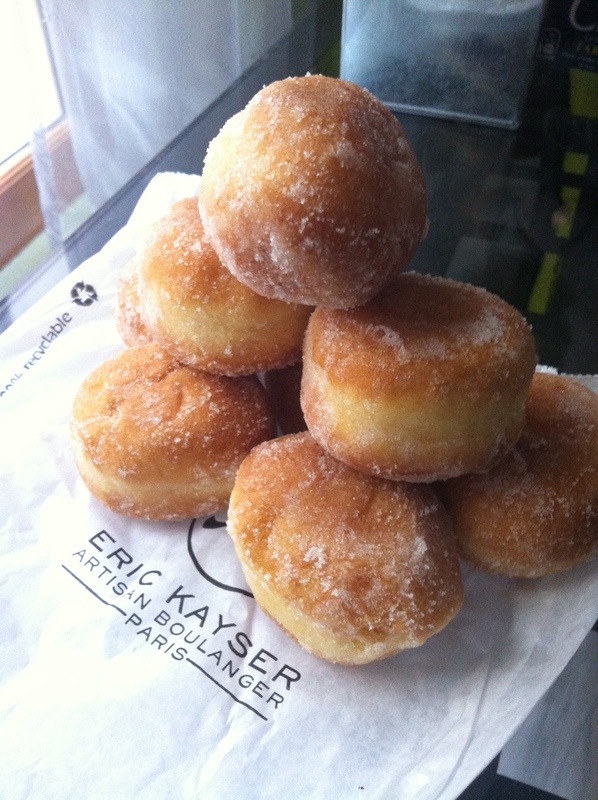 Do yourself a favor and experience these incredible french style beignets from Eric Kayser bakery. They are chewy and incredibly delicious. Eat them for breakfast, lunch, snack time, or dessert for all I care, just EAT THEM! This church is at the top of my wife’s list for favorite architectural interiors, and you can see why. 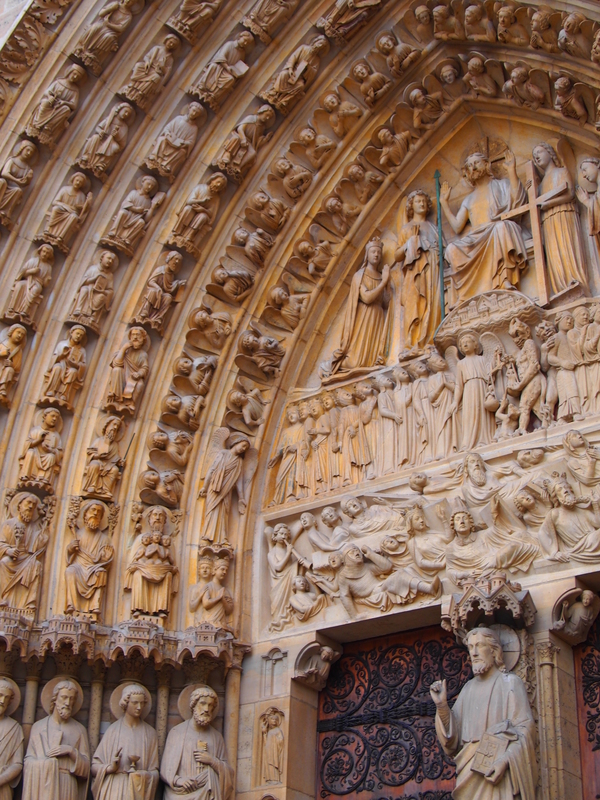 These pictures showcase the intricate carvings of the choir screen, the only one still visible in all of Paris. 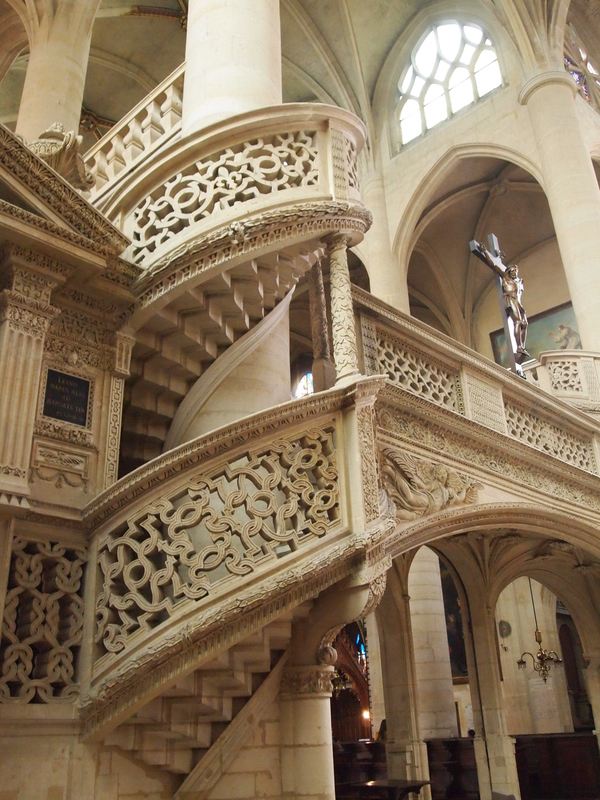 The architecture is Neo-Gothic like many around the area, but it is the incredible limestone carvings that really set it apart from the others. It is a smaller church so if you’re nearby, pop inside for a quick peek, you will not be disappointed. The famous love lock bridge over the Seine is no more. Apparently, the weight of all these relationships was just too much stress for this poor bridge to bear. 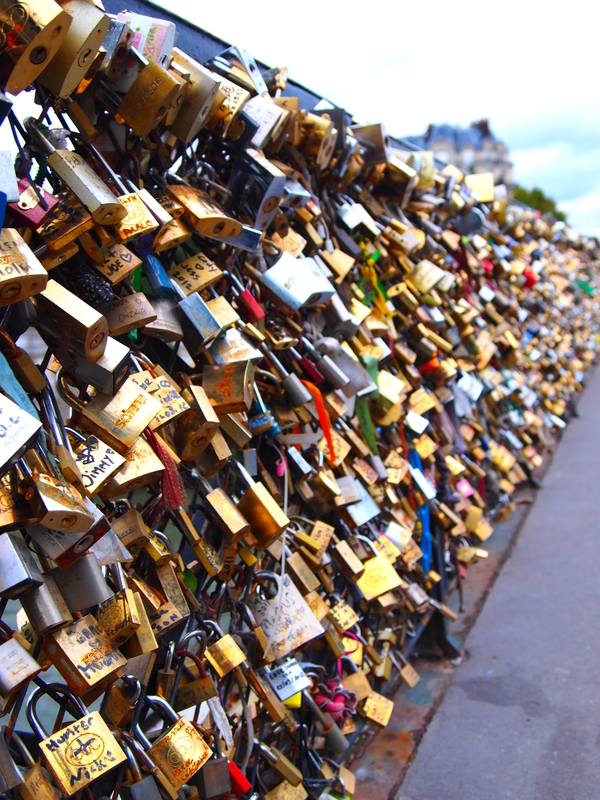 I hear there are other love lock bridges in Europe, so not all love is lost. Glad we got to see it when we did. Valerie and I did not contribute a lock to the bridge. We don’t need a not so clever metaphor to prove how strong our commitment is to each other. Plus, we weren’t sure where to buy a lock around there and didn’t feel like hunting for one. Paris Eats. Part Four. Arc De Triumph. Eiffel Tower.